130m² principal floor apartment plus 30m² ground floor studio for sale on a semi-pedestrian street, in Eixample Right, Barcelona. 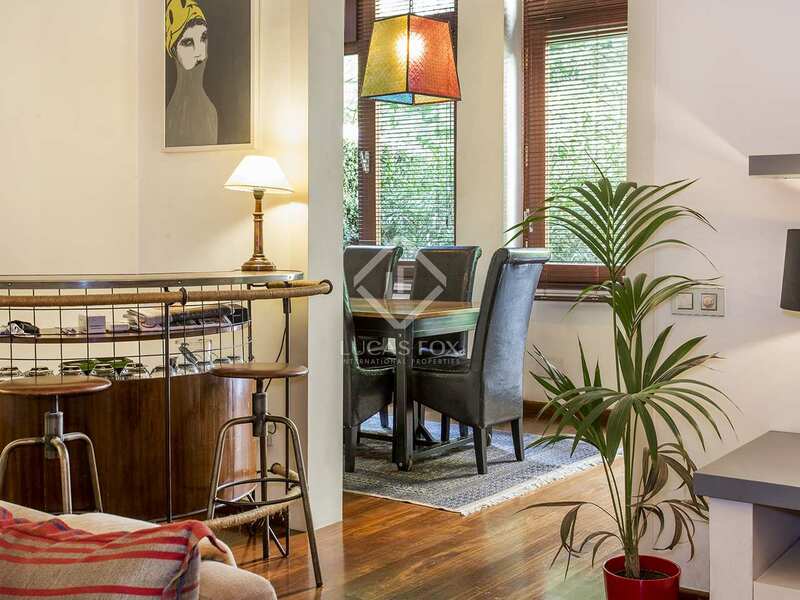 Principal floor apartment measuring 130m² with 50m² terrace for sale together with a 30m² ground floor studio apartment, in a building from the early twentieth century. 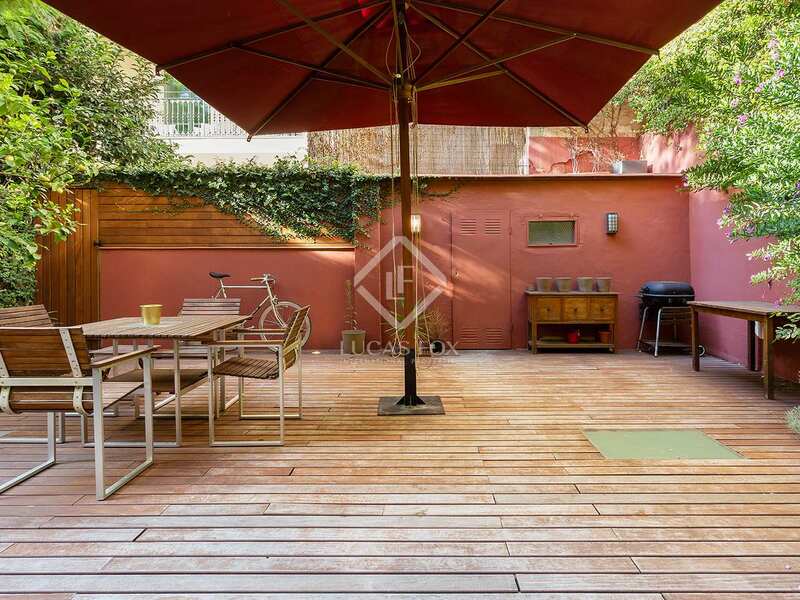 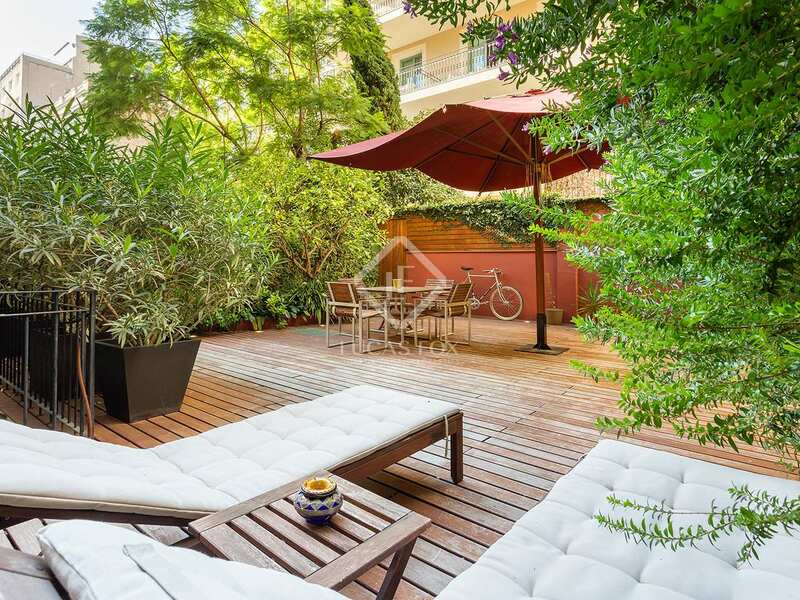 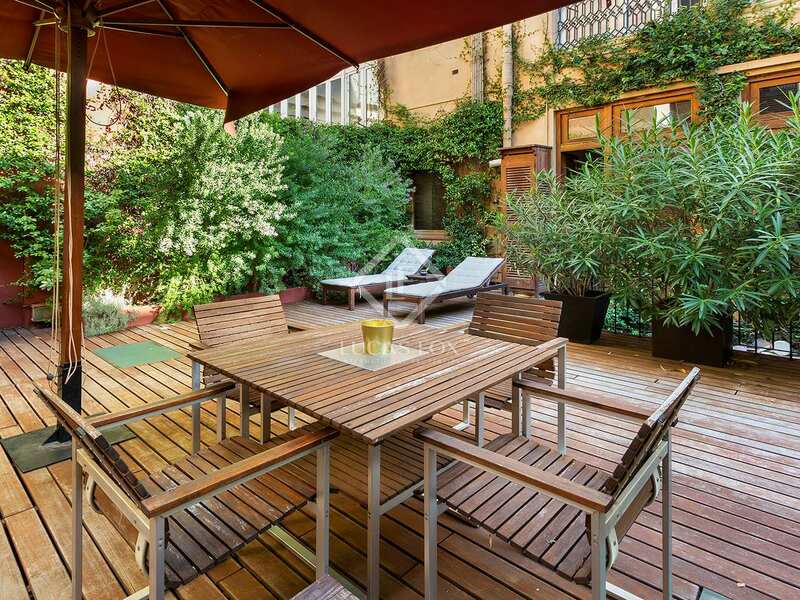 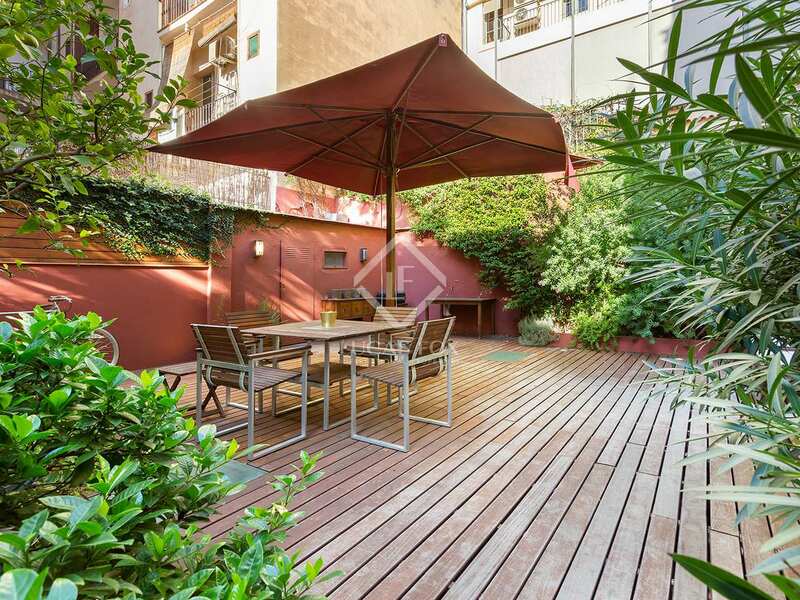 The property is located in a semi-pedestrian street, next to Passeig de Gràcia, in the Eixample Right of Barcelona. 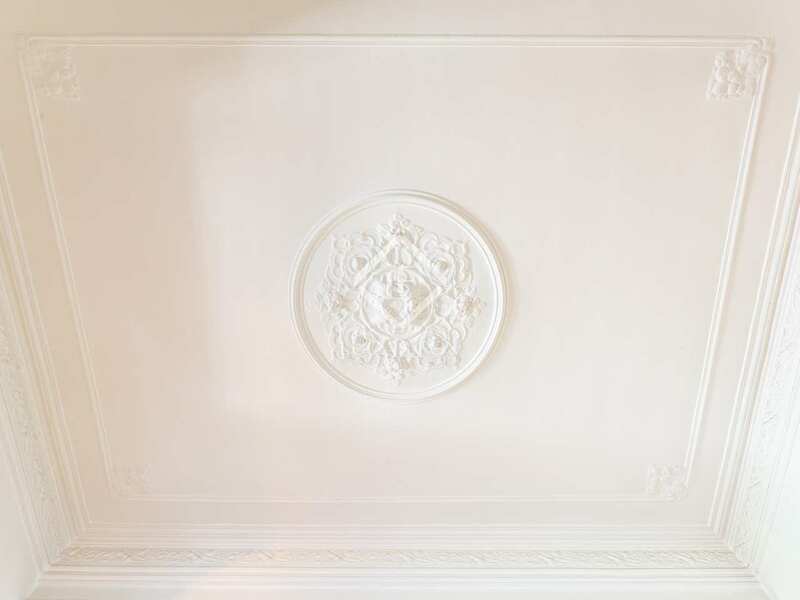 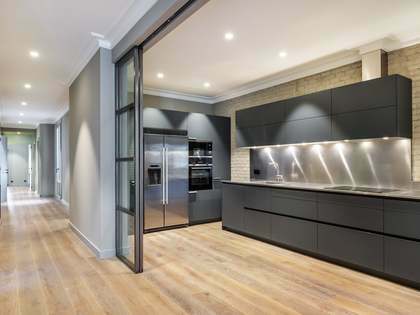 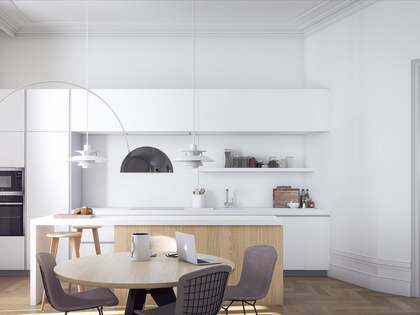 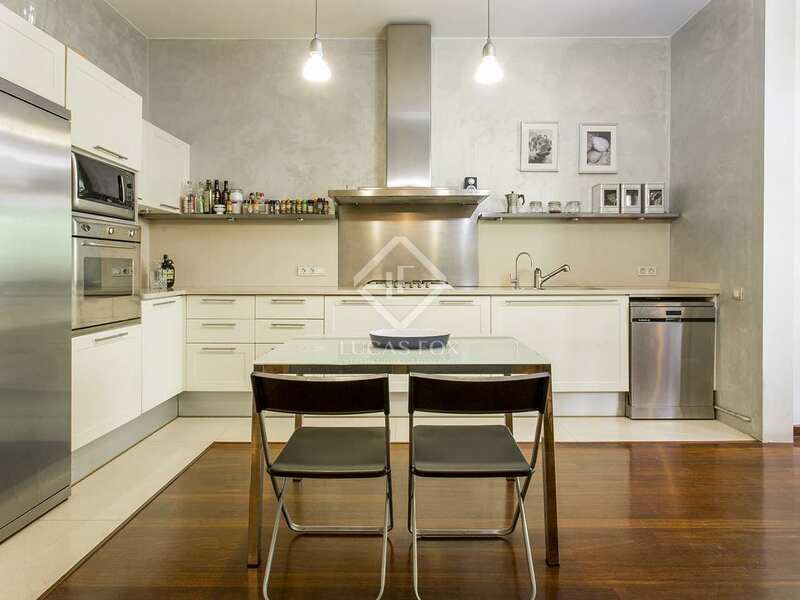 The 130m² apartment has been renovated with excellent results. 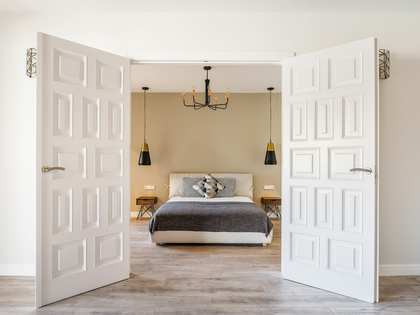 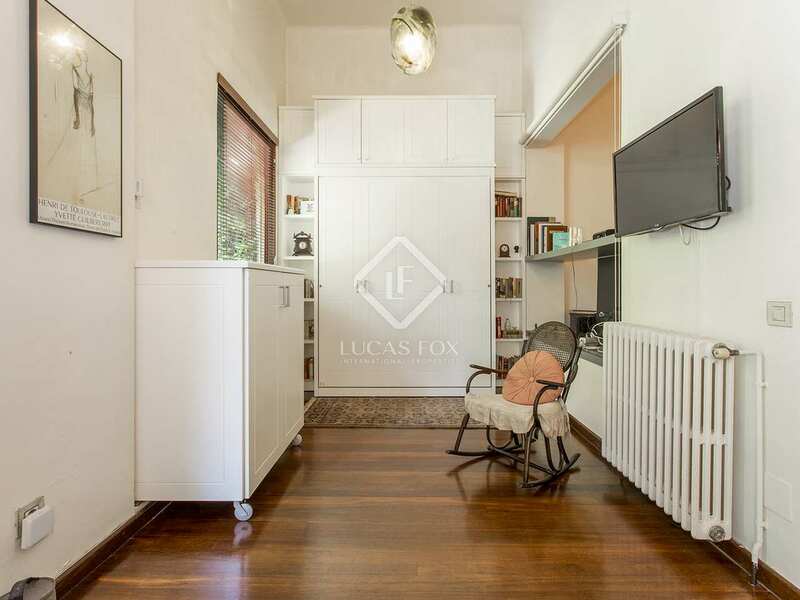 It has a cosy living room, a large kitchen, a pleasant gallery where the dining room is located and an area which may be used as a guest bedroom. 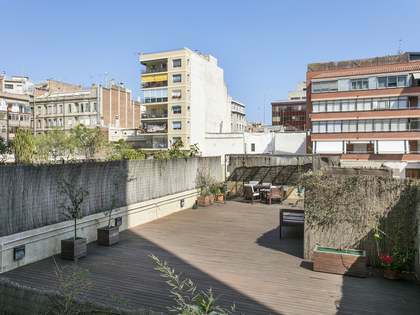 The gallery provides access a beautiful 50 m² south-facing terrace. 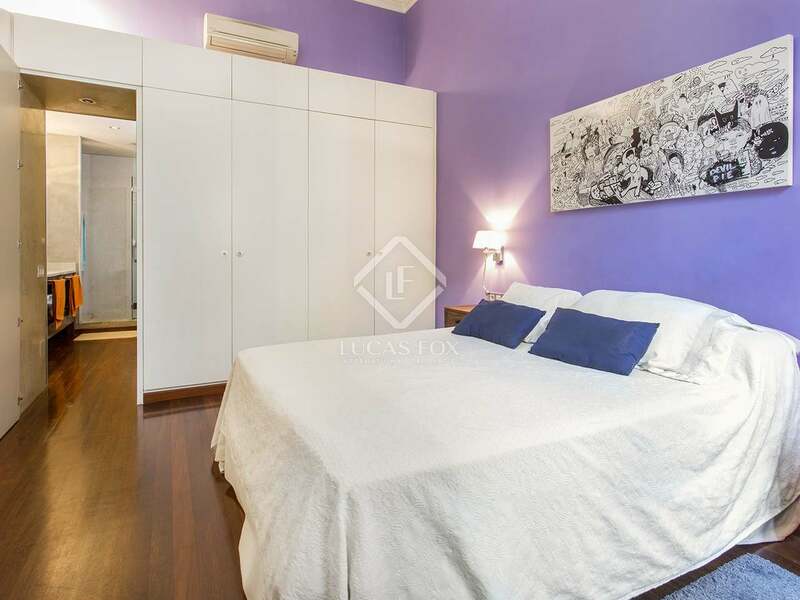 The night area of this apartment consists of 2 double bedrooms and a large central room currently used as a multi-purpose space. 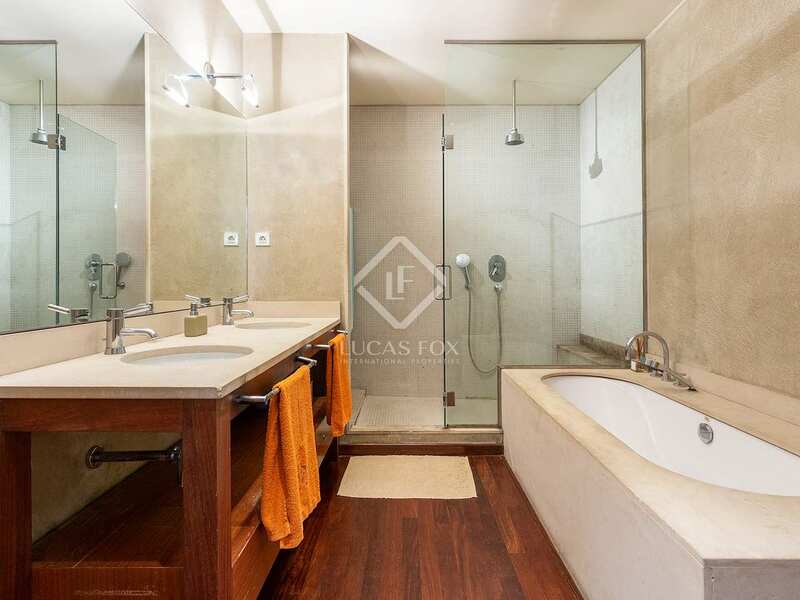 In addition, there is a large bathroom with access from the master bedroom and from the hallway plus a further bathroom. 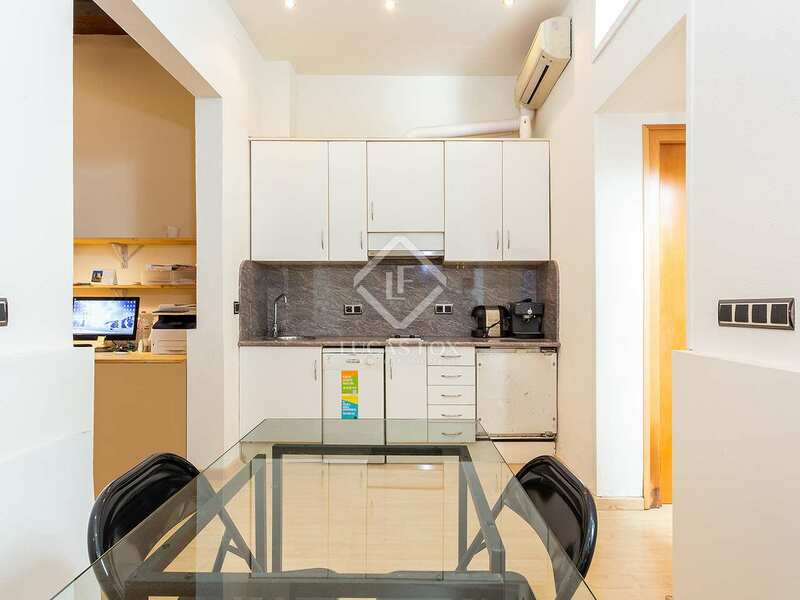 The 30m² ground floor apartment has a loft-style layout with a central living space with an open kitchen, bedroom and complete bathroom. 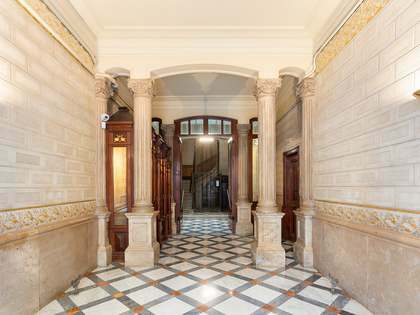 There is also a small patio with stairs leading up to the principal floor terrace. 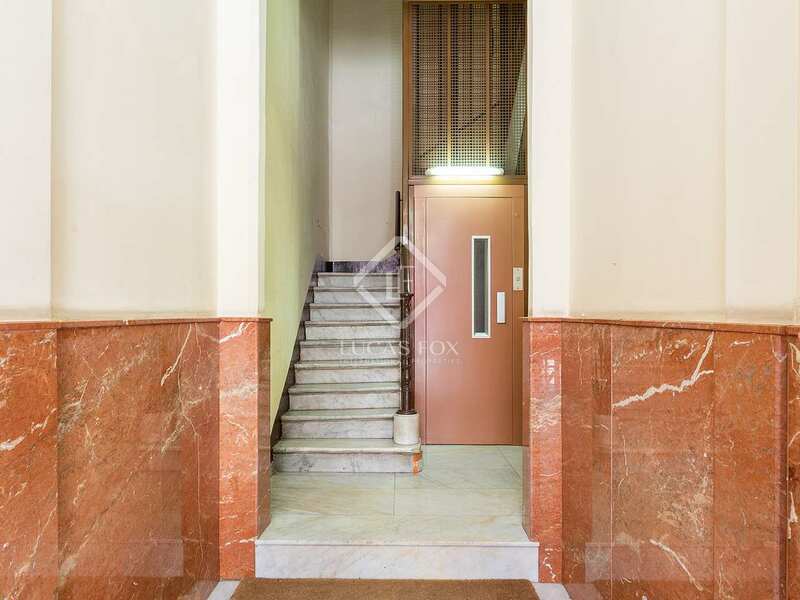 It could be rented out given the fact that it has independent access from the entrance lobby. 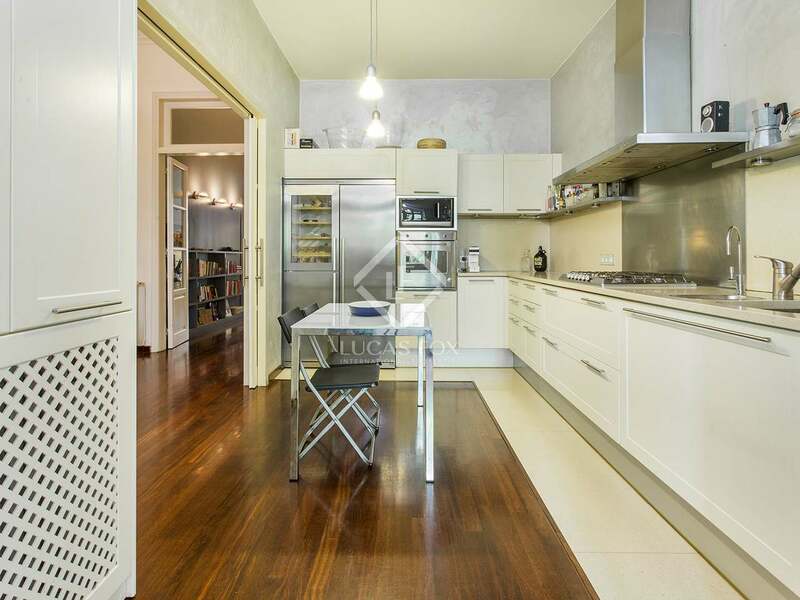 A unique opportunity to acquire two apartments in an incredible location. 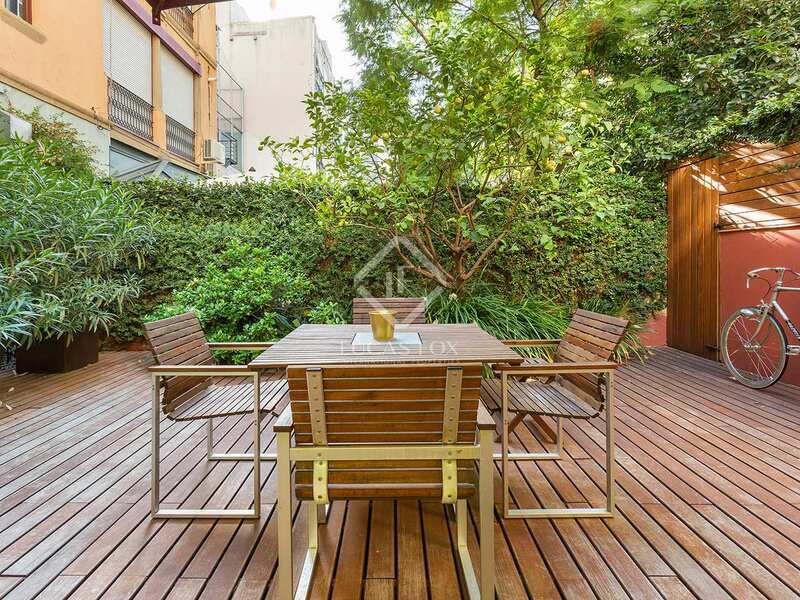 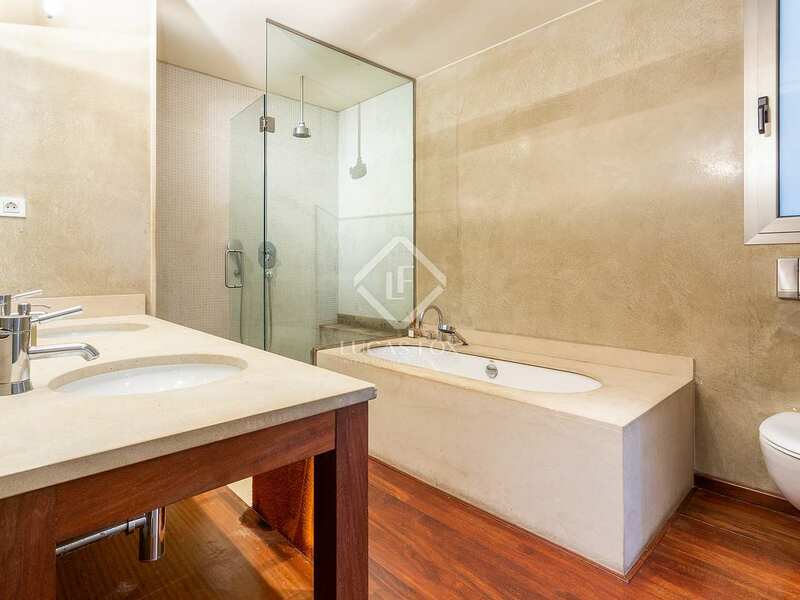 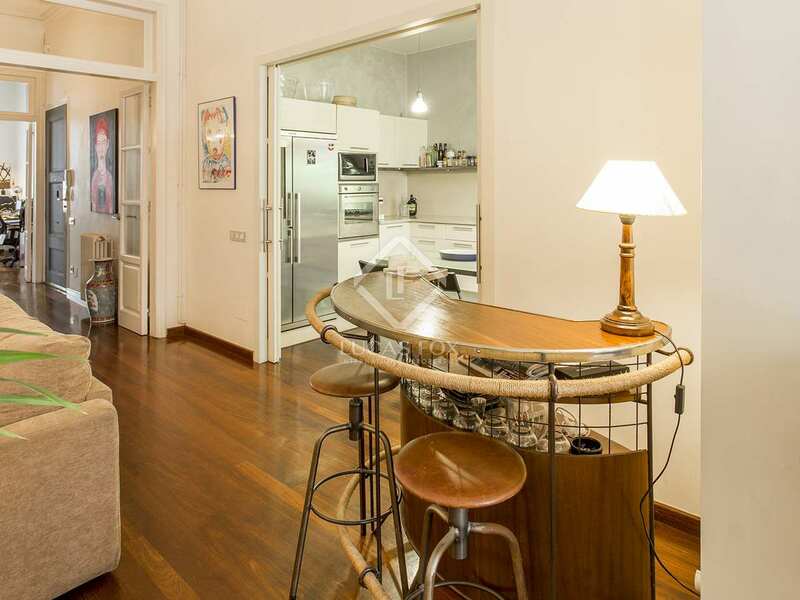 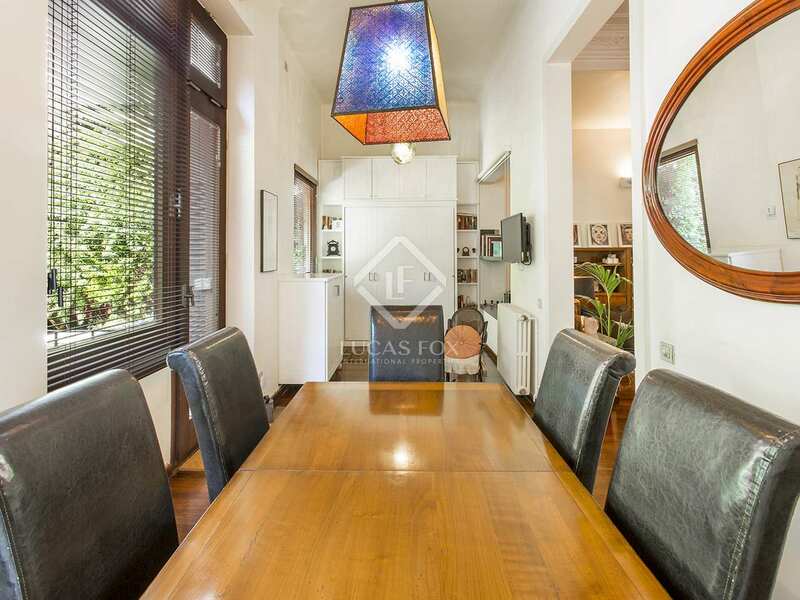 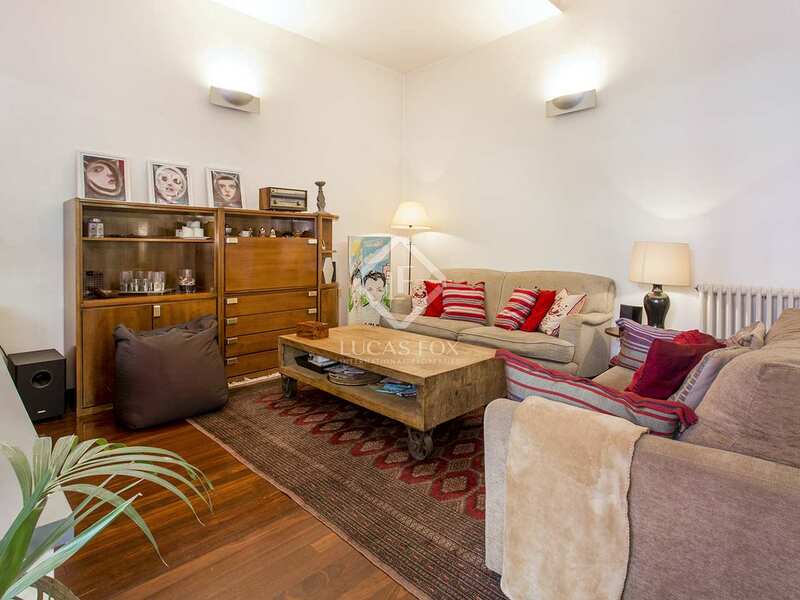 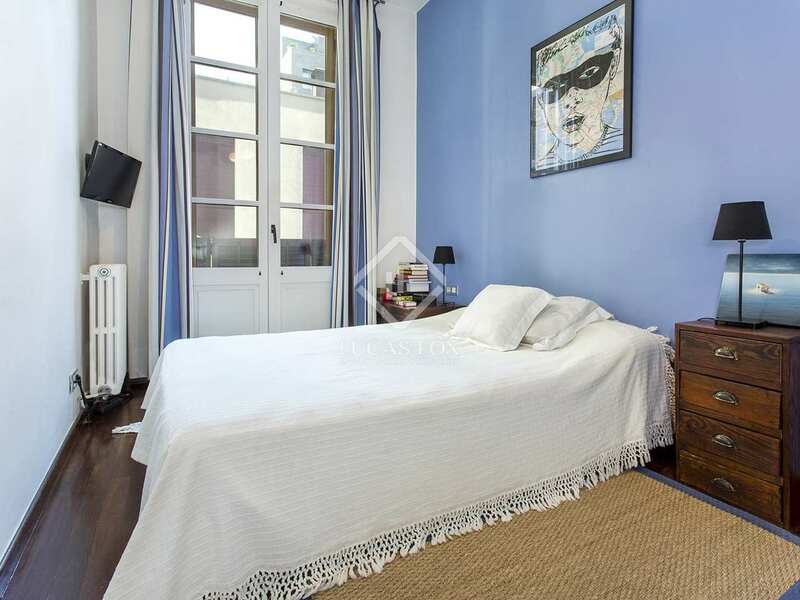 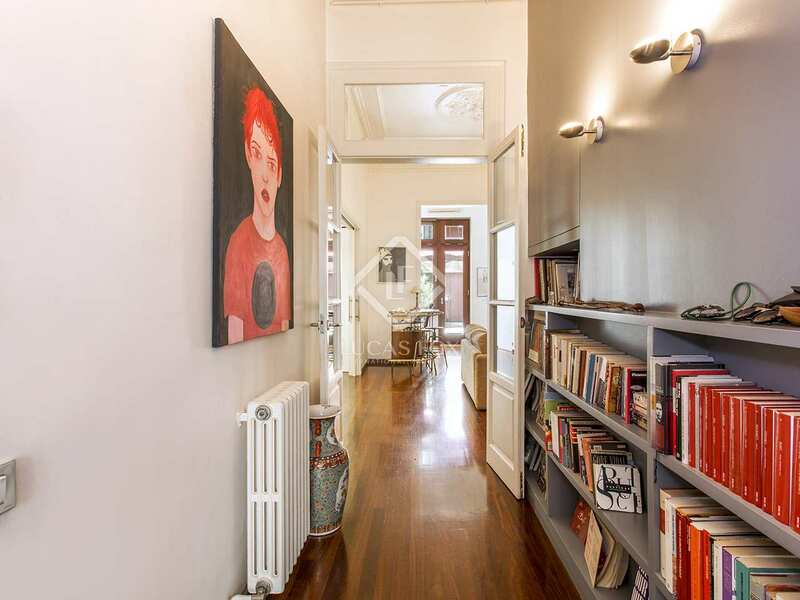 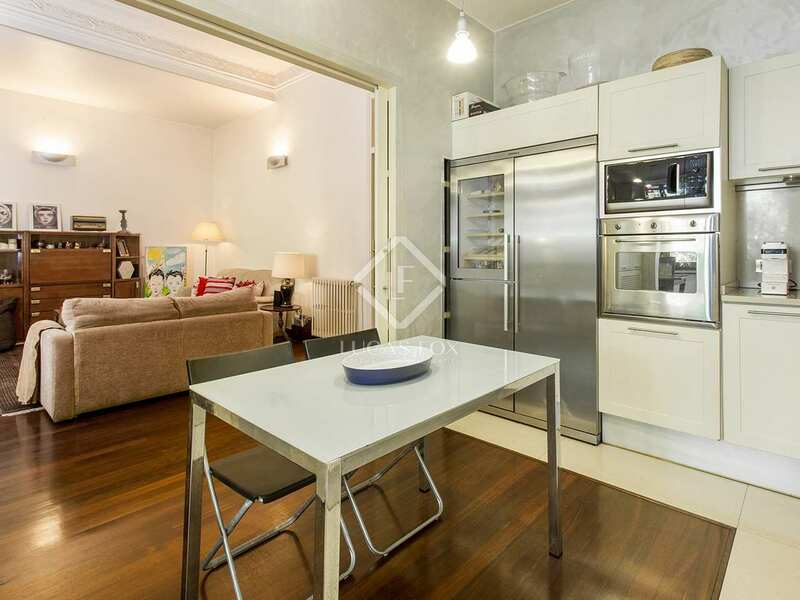 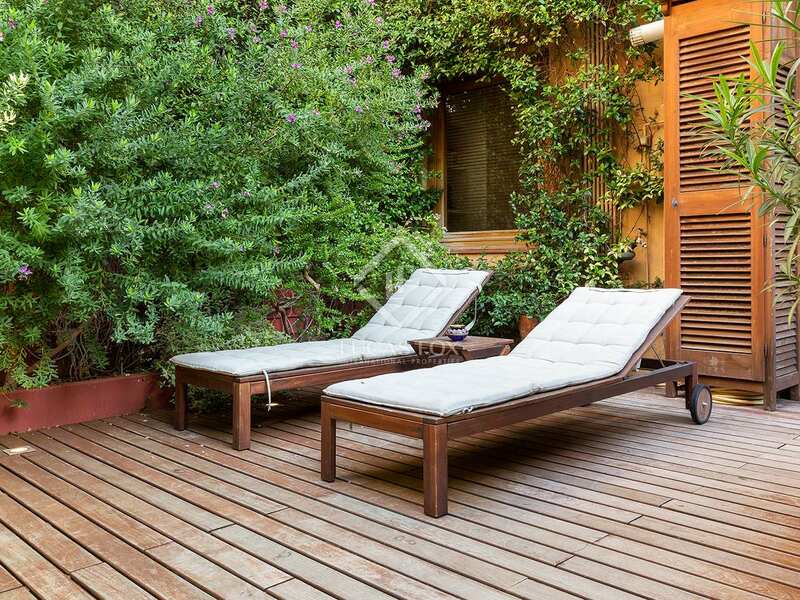 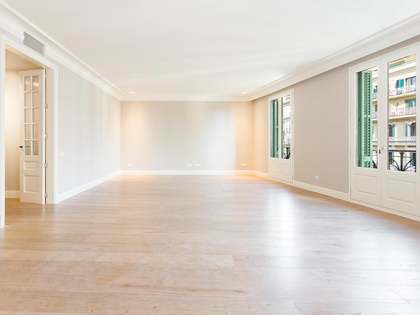 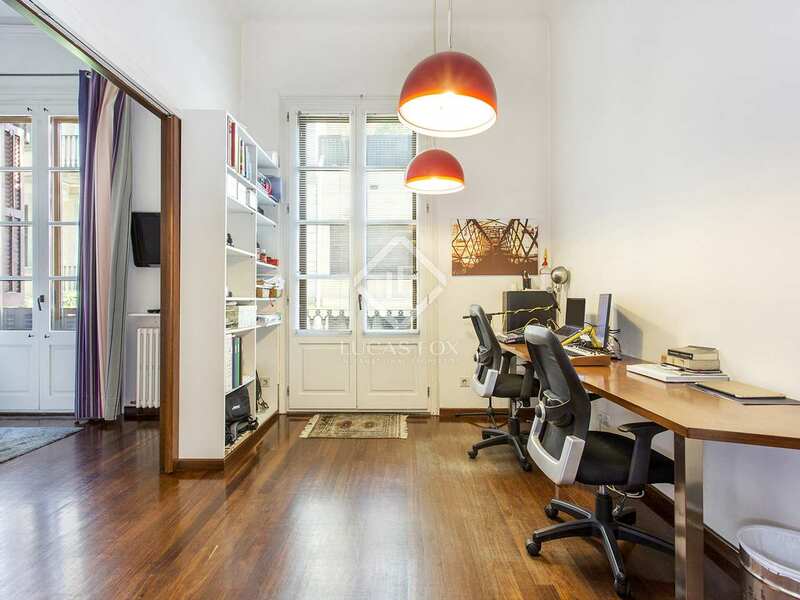 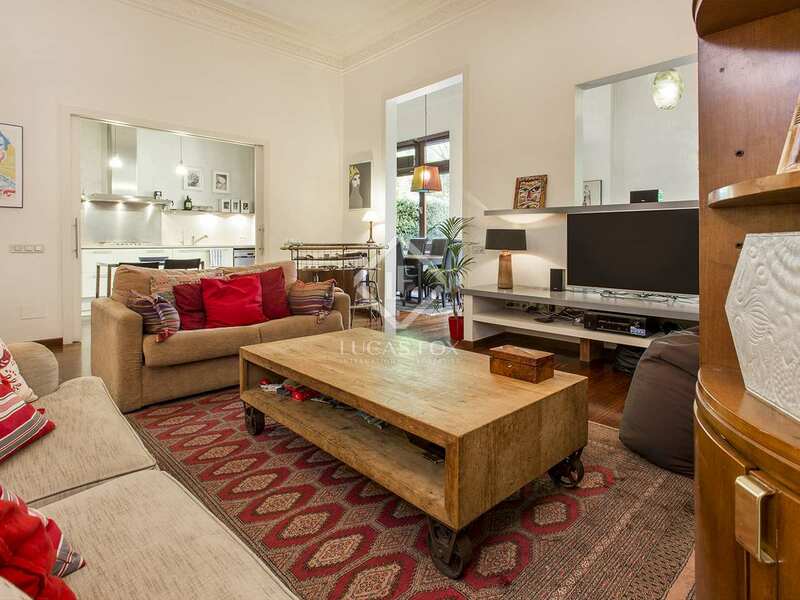 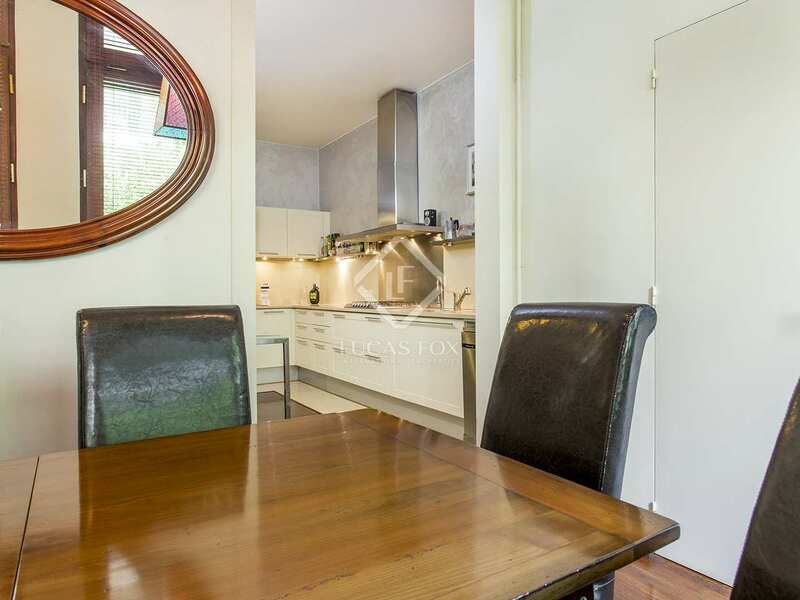 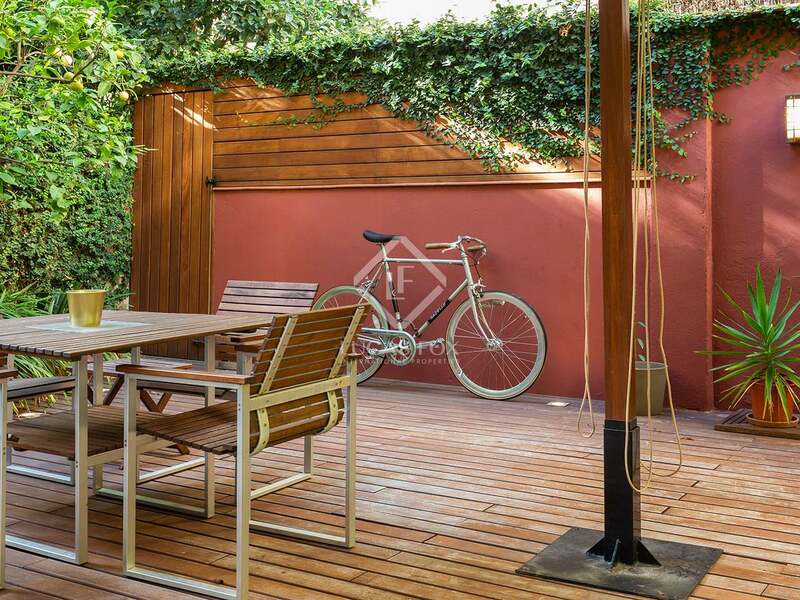 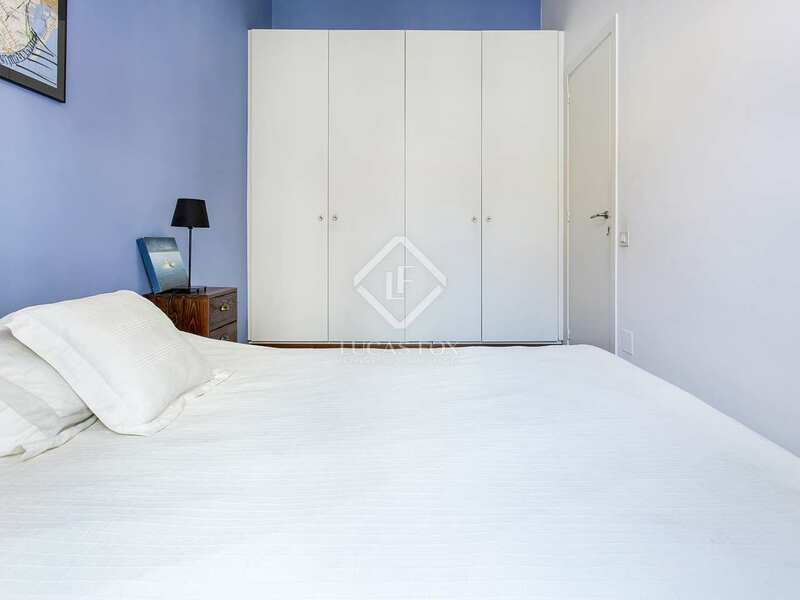 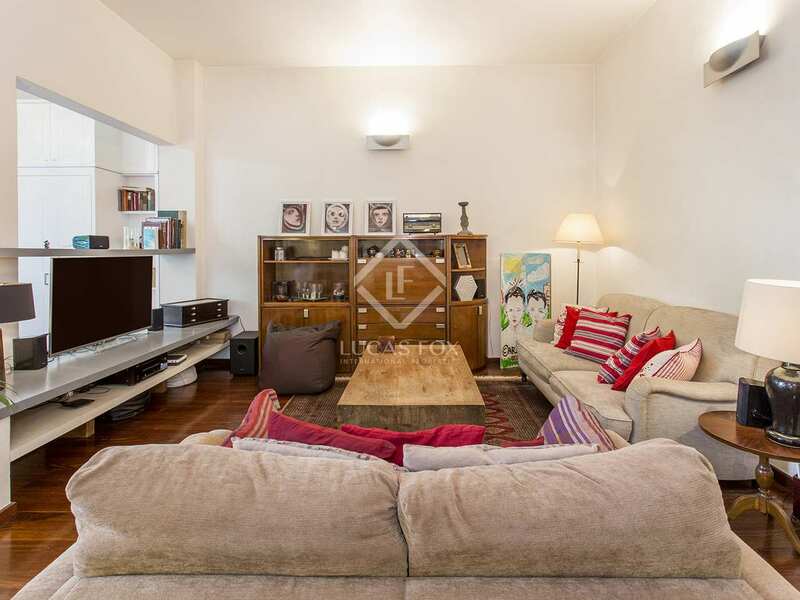 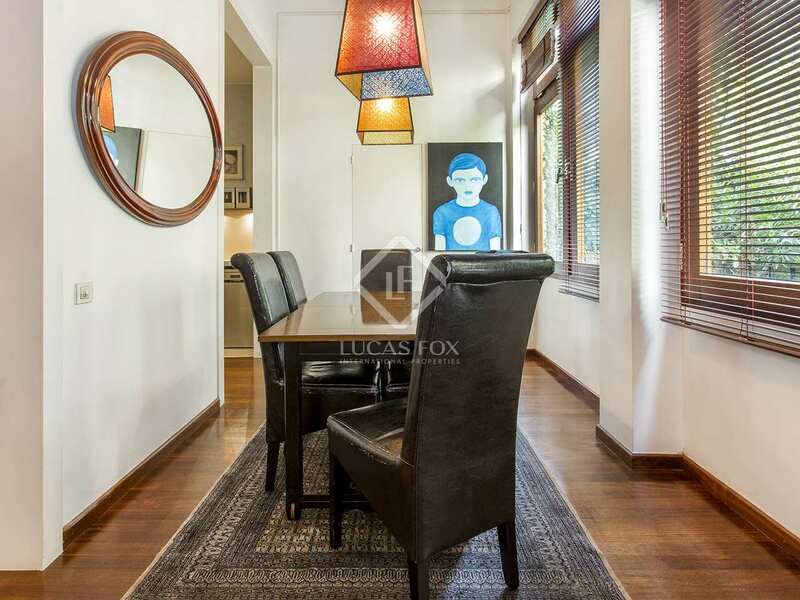 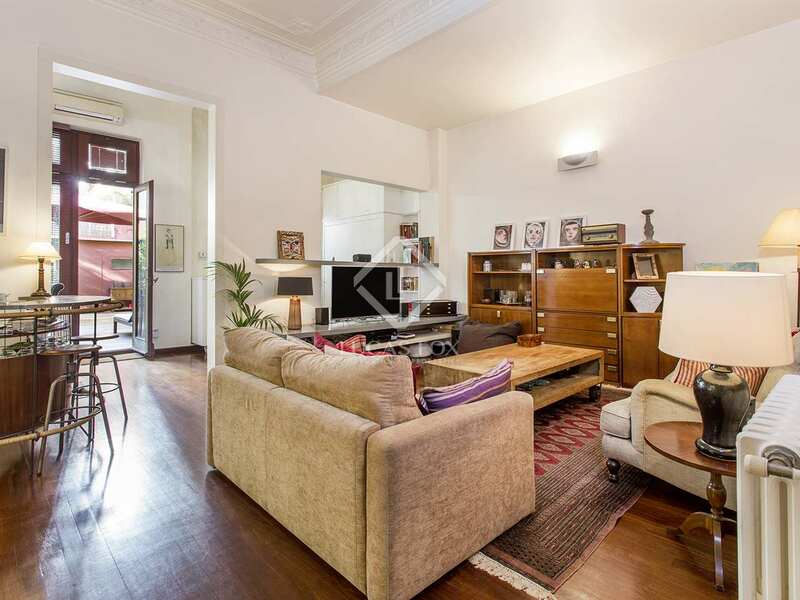 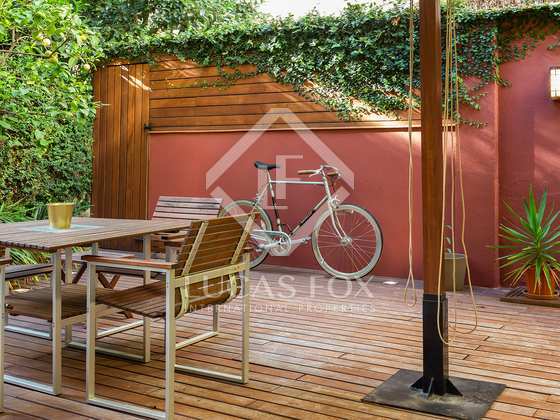 Located on a peaceful semi-pedestrian street at the heart of the Eixample. 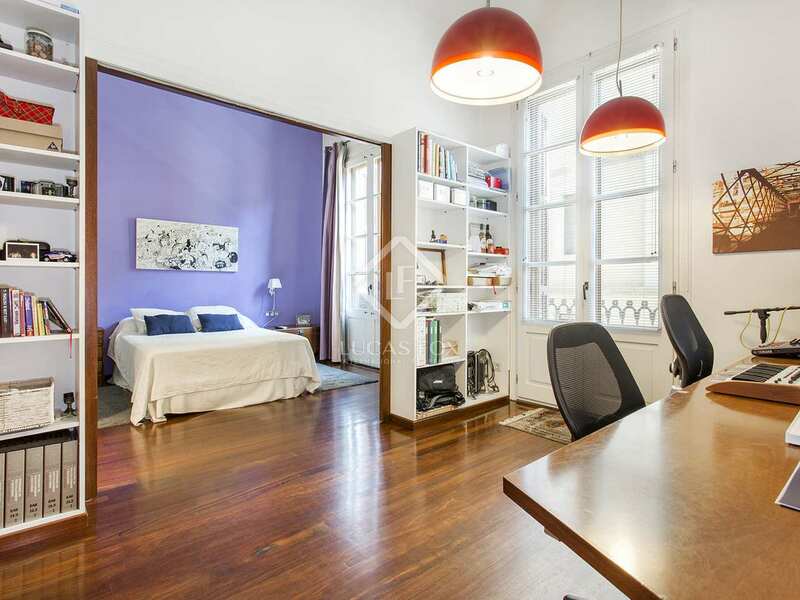 It is close to Passeig de Gràcia and Rambla Catalunya.